LINDA BURMAN-HALL, the American harpsichordist, cultural musicologist and early music producer, studied at the College of Letters and Science of University of California in Los Angeles (B.A. in Music with Honors), Princeton University (M.F.A. Music in Theory and Musicology, and Ph.D. Music in Theory and Musicology). She had postdoctoral research at the Institute of Ethnomusicology, University of Amsterdam. While approaching early keyboard literature from an independent perspective, she has studied with Alan Curtis and Dutch scholar-performer Gustav Leonhardt. Linda Burman-Hall is active in research on performance practices, improvisation and in the history of music. As a scholar-performer and Professor of Music at the University of California, Santa Cruz, she relates regional styles and fashions in music to cultural context, and describes, analyzes, and performs historically- and culturally- informed realizations of musical materials. Her academic appointments included: Instructor (world music) at the Foothill College, Los Altos, California; Lecturer in Music (theory and ethnomusicology) at the University of California, Los Angeles. She is now Professor of Music (theory, ethnomusicology, early music) at the University of California, Santa Cruz. Her teaching areas are: Early keyboards (harpsichord, chamber organ, fortepiano), figured bass and chamber music; Asian and Indonesian musics (introductory course and and graduate seminars in ethnomusicology); Indonesian Gamelan (faculty coordinator for the entire program and director, Balinese Gamelan Angklung); western theory and musicianship (all levels) and seminar in analysis; graduate thesis guidance; supervised teaching. Linda Burman-Hall has performed a wide range of music, from works of the medieval mystic Hildegard of Bingen to world premieres of multi-cultural, experimental and computer music. In early music she has specialized in solo and ensemble music for 17th and 18th century keyboards (harpsichord, organ, and fortepiano). She has performed throughout the USA and in Canada, Holland, Germany and Indonesia, with delayed broadcast on NPR and local media stations. Her festival appearances include the Carmel Bach Festival, E. Nakamichi Baroque Festival, Berkeley Early Music Festival, Aston Magna, and American Musicological Society. For performance research and recordings, she has also received individual and team grants from National Endowment for the Humanities Research Fellowship (1982), and University of California Pacific Rim Research Program. She has performed on the East coast and in Jakarta, Indonesia, during her 14th musicological research session abroad. Linda Burman-Hall has been featured in concerts at the Getty, de Young, and Huntington Museums, on local and national radio. She has performed and recorded with celebrated performers of early music and California artists, including Judith Nelson, Max van Egmond, Randall Wong, Elizabeth Blumenstock, Leta Miller, Anner Bylsma, Amy Brodo, John Dornenburg, Roland Hutchinson, and Nicole Paiement, and appeared with groups such as Philharmonia Baroque, Chanticleer, America’s premiere vocal ensemble, American Baroque Ensemble, Musica Pacifica, and the recently-formed group Lux Musica of which she is a founder. In contemporary music, she has performed with artists as diverse as Steve Reich and Meredith Monk, and has commissioned, premiered and recorded new music by contemporary Indonesian composers and by her colleagues at UC-Santa Cruz (David Jones, David Cope – EMI, and Robert Strizich). 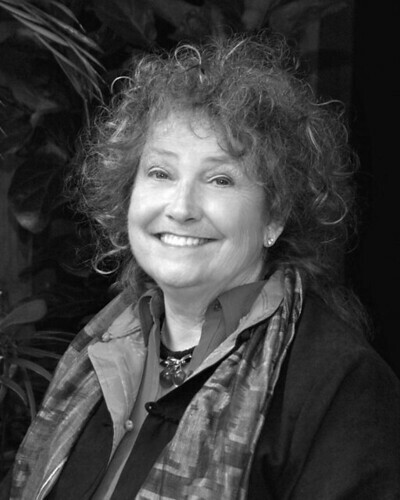 Linda Burman-Hall is founder and Artistic Director of the Santa Cruz Baroque Festival. Under her direction, the Baroque Festival has presented more than 175 concerts in twenty-two years, and has received numerous grants, including National Endowment for the Arts and California Arts Council funds. For this contribution to the local community, the Santa Cruz, County Arts Commission has recently named her 1994 ‘Artist of the Year’. Linda Burman-Hall’s Baroque chamber music recordings are available on Sonic Arts, Musical Heritage Society, Centaur, Helicon, Wildboar and Golden Horn labels. Her first solo release, the complete harpsichord music of Joseph Bodin de Boismortier, was released in July, 1986 by Musical Heritage. Recent recordings of chamber music include three volumes of Carl Philipp Emanuel Bach sonatas for flute and continuo and works for solo and multiple flutes by Boismortier (Centaur and Musical Heritage CD’s with Leta Miller), and Geminiani’s sonatas for violoncello and continuo (with Anner Bylsma). Albums devoted to 17th century French harpsichord and organ music by Jacques Hardel, Etienne Richard, and Joseph de la Barre have also been recorded for release on Wildboar. Linda Burman-Hall received the following awards: Student Alumni Council ‘Favorite Teacher’ Award; Community Service Recognition Award, UC Affiliates; Artist-of-the Year’ Award, Santa Cruz County Arts Commission. She is a member of: Society for Ethnomusicology, Society for Balinese Studies, Phi Beta Kappa.